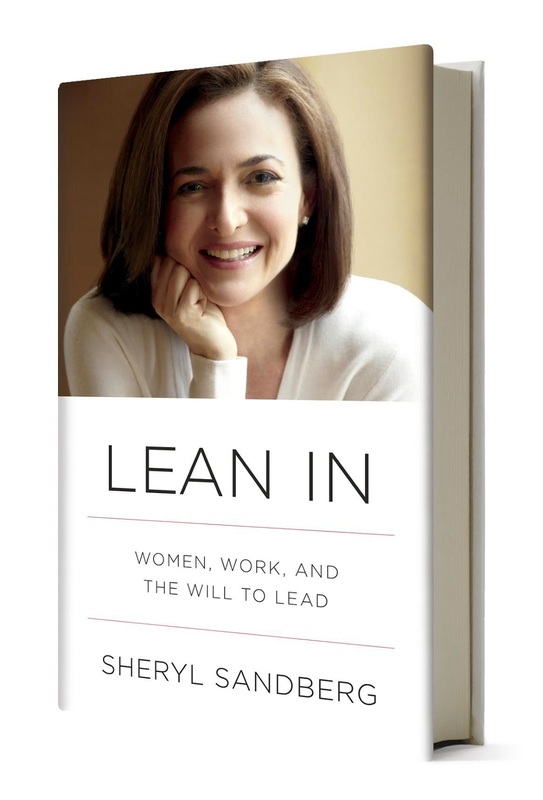 Two years after it was published, the book “Lean In: Women, Work, and the Will to Lead” by Facebook’s Chief Operating Officer Sheryl Sandberg continues to shape the conversation about women’s role in the workplace. Described by some as “the new face of feminism”, the book has spun the launch of a non-profit organization and online community of the same name. 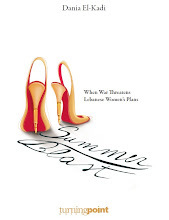 The Lebanese in me couldn't help but notice that - very emblematically of the struggles of women in the Arab world - “Lean In” hasn't been translated into Arabic. Perhaps publishers in the region feel that women’s equality has already been achieved, or maybe they think their readership just doesn’t care. Published by WH Allen in 2013, and shortlisted for the Financial Times and Goldman Sachs Business Book of the Year Award that same year, “Lean in” is based on a talk that Sandberg gave at a TED conference in 2011. In it she uses statistical data about female participation in the corporate landscape, but also looks back on her own experiences, sharing insightful opinions about what stops women from progressing at work. A look at Sandberg’s career: she studied at Harvard then worked in organisations such as McKinsey & Company and the US treasury before leading the Online and Commercial Sales team at Google and finally being called by Mark Zuckerberg to take the operational reins at Facebook, makes it clear that this is not your average person, male or female. Yet, “Lean In” manages to deliver advice that can work for the everyday woman in the workplace. Perhaps the most characteristic part of Sandberg’s approach is that she puts the onus on women themselves to take charge: instead of expecting society to fix the problem, Sandberg invites women to “lean in” or sit at the proverbial table of their own careers. One can assume that it is this very attitude in her own life that has propelled her to be listed by Fortune as the World’s 10th most powerful woman in 2014. One of Sandberg’s key arguments is that women often “check out before they check out” meaning that even when they are single with no children, they don’t pursue career growth as much as they should. In planning a future that involves having a family, they almost unconsciously take the decision not to pursue opportunities to the fullest, as they think that a demanding job wouldn’t fit with motherhood. One of my favourite anecdotes in the book was how, during a meeting that Sandberg hosted for a member of the US administration, she invited all attendees, executives and their aides, to sit down at the meeting table. The secretary’s team, who, although senior, were all female, declined her offer and retreated to a set of chairs in the back of the room, whereas the male aides happily took to the table. She also points out behaviours that many women will recognize in themselves: for example not speaking up, thinking that being perceived as smart will make them less likeable, or feeling like an impostor when they’re successful. Men on the other hand, have a strong sense of entitlement to success. Her arguments against pillars of the “inclusive” modern corporate culture such as mentorship are eye openers: she labels the search for a mentor as the modern equivalent of the “search for Prince Charming”, and instead, suggests that women should ask for advice on specific topics. Sandberg also prescribes some ingredients for success: work extra hard (hide in a room to attend conference calls while pumping breastmilk, get home on time to see the kids then run back to your computer and work into the wee hours of the night), and get proper childcare. This latter point is one that many of her critics latched onto, because, with an estimated fortune of 500 million dollars, she can afford the type of childcare that most other working mothers cannot aspire to in the Western world. What about men? Sandberg’s got them well in her line of sight. The book dedicates a section to finding the right partner: someone who’s ready to partake in household duties to give his spouse the opportunity to succeed at work. Today, in its spin off activities, Lean In org dedicates specific efforts to males. A visible aspect of their recent work was the “Lean In Together” campaign, which enlisted the NBA’s voice to promote to men the need to play their part in driving gender equity in the home and the workplace. The book also prompted male leaders to recognise flaws in their own behaviour. For example, Sandberg recounted how John Chambers, the CEO of Cisco, told her that after reading her book, he realised that he and his senior leadership team were guilty of accusing their sole female board member of being “aggressive” when all she did was behave in the exact same way as her male counterparts. Beyond my own career aspirations, a crucial point that that resonated with me is the one she makes about how we bring up our girls. Sandberg famously enlisted global celebrities such as Beyoncé to headline the “Ban Bossy” campaign calling on people to stop using the word “bossy” when referring to a little girl’s strength of character. Instead, she argues, we ought to encourage authoritative behaviour in girls just like we do in boys, and rather than call them bossy, tell them that they have good leadership skills. Recently, a friend jokingly told me that my two two year old daughter is bossy, to which I replied, beaming: “Yes, she will be a great leader”.